Some customers want to know how to fill the PDF forms from MS Excel, MS Word or MS PowerPoint Macro, in fact, this can be done easily suing VeryPDF PDF Form Filler SDK, VeryPDF PDF Form Filler SDK can be called from MS office products (MS Access, MS Excel etc.) 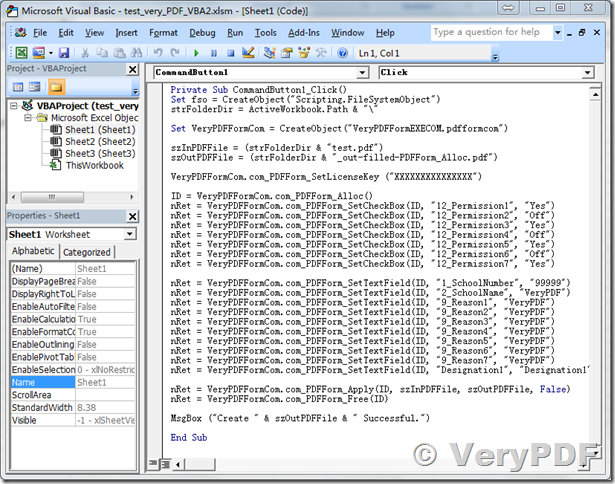 to fill forms, we will provide the details of how to integrate PDF Form Filler SDK with excel VBA in this article. 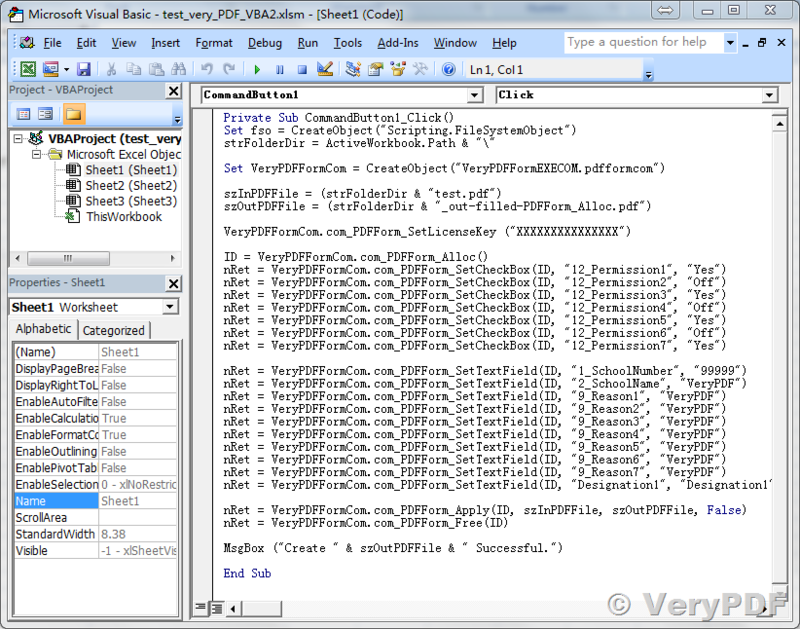 VeryPDF PDF Form Filler SDK is a professional product to fill PDF forms, you can also call it from Excel VBA to fill the PDF forms easily. You can write the form data to a FDF file first, and then call com_PDFForm_MergeFDFIntoPDF() function to combine FDF and PDF together. 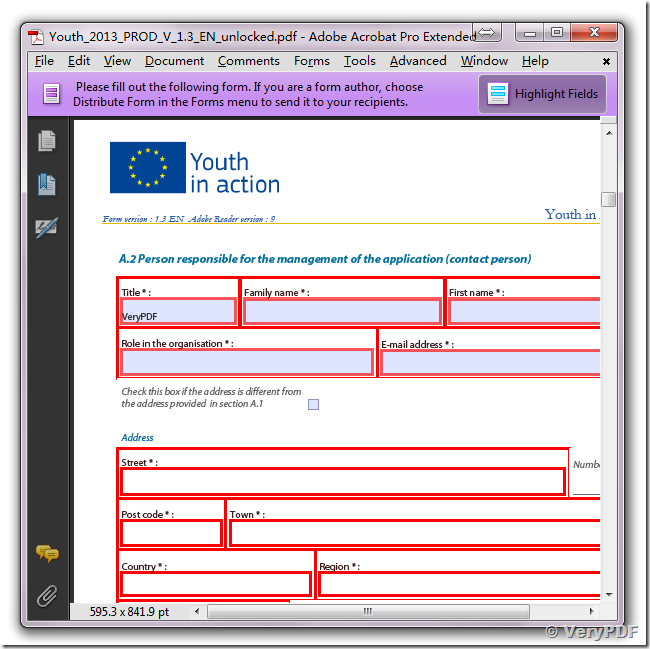 strFolderDir = ActiveWorkbook.Path & "\"
test_very_PDF_VBA.xlsm: This file does use FDF to fill the PDF forms. test_very_PDF_VBA2.xlsm: This file does fill PDF forms directly. You can press ALT+F11 to active VBA Editor in MS Excel application, then you can modify the functions to best meet your requirements. In order to run these two .XLSM files properly, you need place them and test.pdf file into same folder, then you can test them properly. This entry was posted in VeryPDF SDK & COM and tagged pdf form filler. Bookmark the permalink.